The Price Index Point or the Percentage in Point is commonly known as PIP in the forex trading .Most currencies pair’s exchange rates are represented in four decimal currency pairs like this $0.0001. The change in one point in the fourth decimal point is referred to as the PIP. 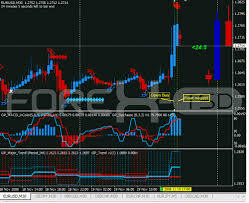 When calculating the pips in forex trading, the pip I the smallest increment in any currency pair. Let’s take the currency pair EUR/USD for instance. The exchange rate is 1.4520 and because of the currency fluctuations let’s make the exchange rate to 1.4521which a difference of 0.0001 .The changed fourth decimal point 1 is called 1 pip for the currency pairs . In some cases you might come across some currency pairs that would only have two decimal point .Fur such currency pairs a change point in the second digit after the decimal point is referred to as a pip. Let’s take the USD / JPY currency pair for example and the exchange rate is 80.55 .Because of the currency fluctuations the exchange rate changed to 80.56 .The 0.01 difference is referred to as the pip of these currency pairs. Another easier way to calculate the pips is by multiplying the currency pair that has four digits after decimal point and get the difference. Currency pairs like USD/JPY or CAD/JPY have just two digits after the decimal point which you would multiply by 100 and take the difference and you will get the number of pips difference When using a Meta trader platform its easy for you to see the number of pips difference on the charts. Generally the value of each pip depends on the following. So for one standard lot with a leverage of 1:100, if you get 1 pip profit means you get a profit of $10. Lets calculate the pip value for EURUSD for 1 Standard Lot with a leverage of 1:400. For 1:400 leverage the lot size will be 400,000. Let’s use 1 standard lot with a leverage to calculate for this pair. PIP Value = 100,000[Lot Size for 1:100 leverage] X 1[Number of Lots] X 0.0001[PIP Size] = 10 British Pounds. But this has to be converted into dollars. The current exchange rate could be 1.5430. So this will be 10 X 1.5430 = $15.34. So for this currency pair each pip will be $15.34. For mini lots with leverage of 1:100 the lot size will be 10,000 and you can calculate the pip value as above.